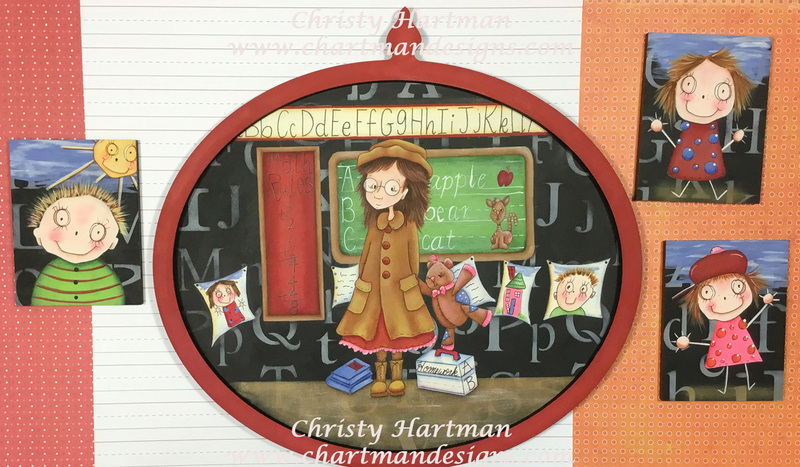 Do you know someone who is a teacher, student, teacher in training, enjoys kid art, or someone who loves nostalgia? Let me introduce you to Tallulah; she is ready for school with lunch and books in tow. She has also brought along a friend to bolster her confidence. This year Tallulah is going to overcome her feelings of anxiety regarding school and “shine”. This is her year to grow and develop as a first rate student. 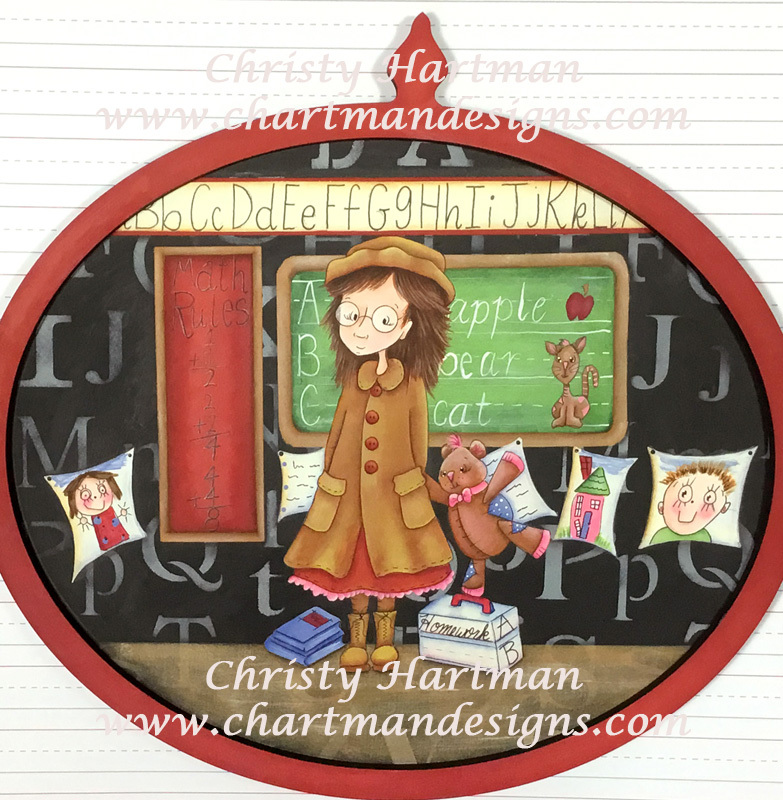 While I was designing this project I decided to add three small ornaments which would remind us all of fun childhood drawings which you might have completed or your children might have completed. I think I managed to stay true to that childlike feeling. Does this bring back feelings of nostalgia? This e-pattern includes the instructions for completing Tallulah and the three ornament. 20 photos are included to help guide you through the painting process. I used surfaces which are available from www.creativeartslifestyle.com but you could easily adapt this project to fit ANY surface. You are purchasing the e-pattern for this project, once payment has been verified you will receive a paid invoice with a green button on the invoice. This is your download link to download your pattern. Click on the green button and the PDF of this pattern will pop up for you to download and or print. If you are struggling with your download I have added a PDF link on my homepage with instructions for downloading your pattern. I am always happy to help if necessary.